Amara is a moving inspiration, a clear example of embodiment and of what is possible when we utilize the intelligence of the body. Amara is known for her ability to create powerful transformational containers and for the depth of the work that unfolds in her presence. As a leader in the world of conscious movement, Amara is forging a path for its continued evolution. After opening the first studio dedicated to conscious dance in the US, she inspired the birth of OneDanceTribe, unifying a divided dance world into a common field and mission to awaken love. Through her work with Azul she is elevating the psycho-spiritual aspect of conscious movement and redefining the work we do on the dance floor as a path of awakening consciousness. Amara has been teaching movement as a spiritual practice for over 20 years. Starting at a young age, she dove into her journey exploring movement as a healing art, while studying with Anna Halprin (Expressive Arts Therapy –Tamalpa Institute), and immersing in the work of Awareness through Movement, Body Centering, Authentic Movement and Dance Therapy. She also traveled and studied Gestalt and Holotrophic Breathwork at the Findhorn Community. At age 21 she met Gabrielle Roth and found a deep resonance with her teachings. This encounter launched her first into her own journey of embodiment and then into the only work she has ever done: teaching movement. Trained by Gabrielle to teach Waves and Heartbeat 5Rhythms®, she spent many years traveling the world spreading her unique voice in this work. In 2002 she co-founded Waves Studio in Olympia WA, establishing a thriving local dance community. In 2007 she moved to Hawaii as Director of Conscious Dance at Studio Maui. 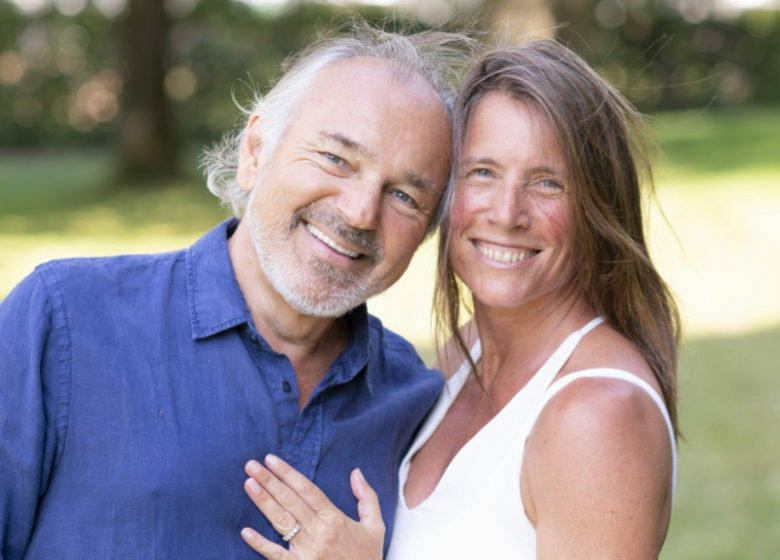 In 2009, Amara and her husband Pier Paolo founded OneDanceTribe and started the journey with their spiritual teacher Prem Baba which led to the birth of Azul in 2013. Azul was born as a result of a deep process of inner search that reached its peak in 2013 when Amara was on retreat in India and received the name while meditating on the banks of the Ganga River. In a number of spiritual traditions, Azul is the color of the celestial realm and the name carries the vibration of love and perfection. Azul is a path of personal transformation that utilizes movement to awaken love. It combines Amara’s expertise in embodiment and movement as a healing art with a clear map of our spiritual reality and tools for self-knowledge she received from her spiritual teacher. The work is also influenced by the latest scientific discoveries about singularity and unified physics. The path of Azul takes us on a healing and liberating journey that ultimately reveals our inner truth, elevates our life experience and supports our full self-expression. “Azul is in a continuing evolution, one we can live together as you experience and benefit from this work”. While in Olympia, Amara started a yearly 5Rhythms gathering, where she would invite 5R teachers with the intention of co-creating collaborative environments. The inspiration for this event followed her to Hawaii and eventually merged with Paolo’s vision to create an evolutionary container with movement as a part of a larger offering of conscious living practices. This gave birth to a unique event in the field of conscious movement, and seeded the formation of an international community of individuals taking steps towards self-realization utilizing conscious movement as a vehicle. “I am very grateful to Paolo for the masculine presence that has allowed me to drop so deeply into receiving Azul. This dance of masculine and feminine is what has birthed the Path of Azul”.